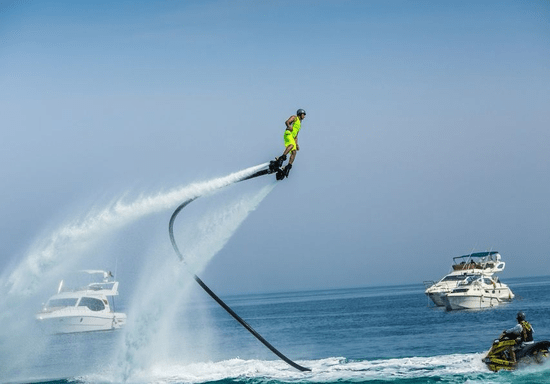 Flyboarding is one of the most thrilling watersport activities allowing you to soar into the sky or jump in and out of the water like a dolphin. And the best thing, it is safe and can be learned easily. During the first 10 minutes, the instructor will explain how to use the device, how to take off, hand signals and safety procedures, then you will have 20 minutes to fly. Get ready for an unforgettable experience and enjoy the freedom of flying within minutes. No experience required. 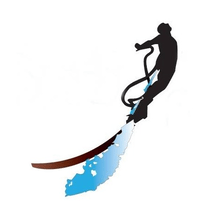 Depending on your progress or previous experience, your instructor can also adjust the power on your flyboard to make you fly higher and faster, or he can teach you some new tricks such as diving like a dolphin and freestyling.